An Oregon man who died after falling into a scalding Yellowstone National Park hot spring in June was looking for a place to "hot pot," the forbidden practice of soaking in one of the park's thermal features, officials said. Sable Scott told investigators that she and her 23-year-old brother, Colin, left a boardwalk near Pork Chop Geyser and walked several hundred feet up a hill in search of "a place that they could potentially get into and soak," Deputy Chief Ranger Lorant Veress told KULR-TV in an interview. As Sable Scott took video of her brother with her cellphone on June 7, he reached down to check the water temperature and slipped and fell into a thermal pool about 6 feet long, 4 feet wide and 10 feet deep, according to a National Park Service incident record first reported by KULR. Park officials did not release the video or a description of it, but the report said it also chronicled Sable Scott's efforts to rescue her brother. Search and rescue rangers spotted Colin Scott's body floating in the pool the day of the accident, but a lightning storm prevented recovery, the report said. The next day, workers could not find any remains in the boiling, acidic water. "In very short order, there was a significant amount of dissolving," Veress said. 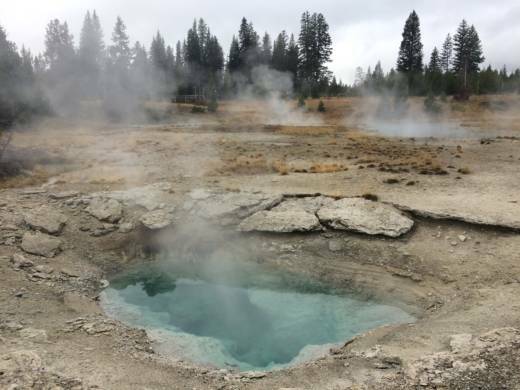 The report included images of several signs warning people of the dangers of the park's geothermal features and of traveling off walkways in the area where Colin Scott died. The National Park Service did not issue any citations in the case. 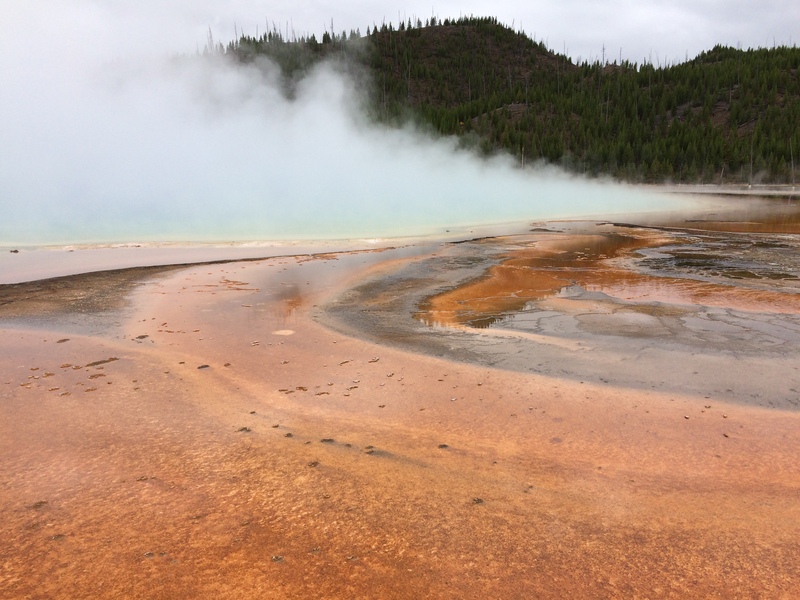 Scott was on a college graduation trip with his sister at the time of his death, which came a day after six people were cited for walking off-trail at the park's Grand Prismatic Spring. A week later, a tourist from China was fined $1,000 for breaking through the fragile crust in the Mammoth Hot Springs area, apparently to collect water for medicinal purposes.